So what do I need to know for the New driving test..
Not so much new now, but starting from the perspective of a complete beginner what is it all about? 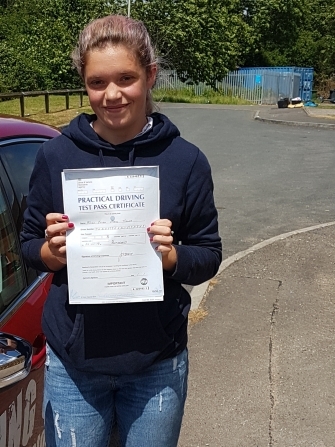 The job of a driving instructor is firstly to take you into the unknown, until the unknown becomes as comfortable as an old coat in each stage of your training until you are test ready. many pupils ask when will I be test ready "well I will put that question back to you? when you can put your hand on your heart and state that you can drive on your own; with children in the back of the car safely. Then you will be test ready!" Once test ready, what can you expect on arrival at the test centre ? on the arrival of the examiner He or She will check your driving license to make sure it is bona fide. then ask you to sign a declaration on the test form you will be marked on. Then its outside and an eyesight test to read a car number plate URL: https://www.gov.uk/driving-eyesight-rules 20 metres. Tell me / show me questions next, and all good instructors will guide you through these prior to your practical driving test. The driving part lasts for about 40 minutes. covering your general driving ability (normal stops by the side of the road. pulling out from behind a parked vehicle and hill starts.) reversing your vehicle (parallel park on the side of the road,park in a parking bay and pull up on the right side of the road reverse two car lengths and then rejoin traffic.) 20 of the 40 minutes is for your independent drive which will either be by sat nav or with the use of traffic signs. The examiner will not take you on the motorway on your test even though you instructor is allowed too prior to your practical driving test. Hopefully this will give you an indication of just how much work is involved and that's without the theory test.